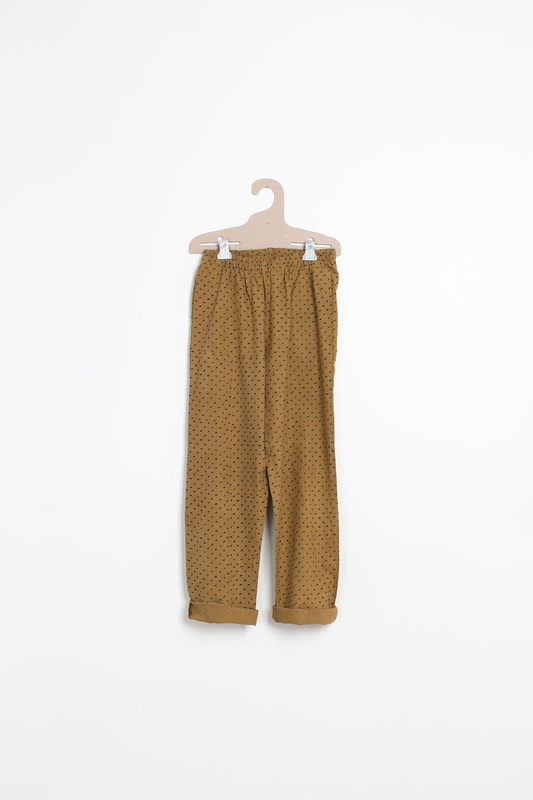 Comfortable elastic waisted pants crafted from soft lightweight handwoven cotton. 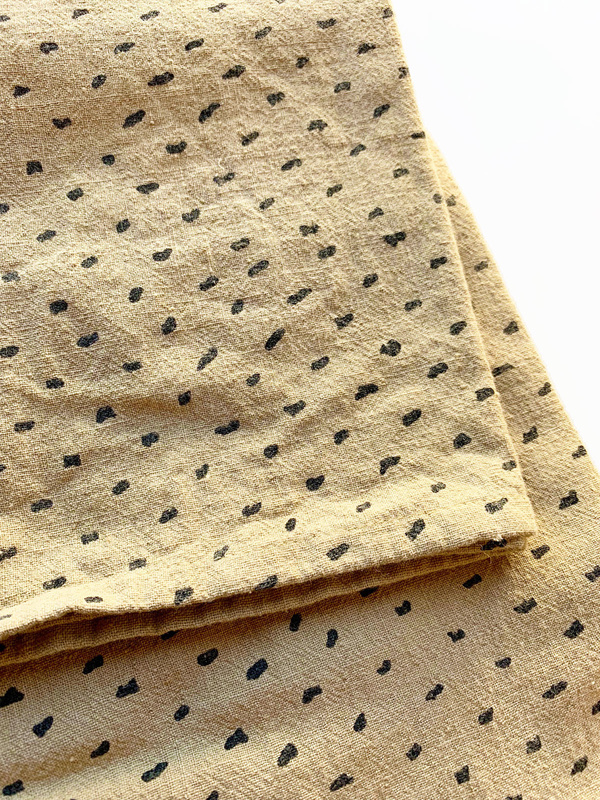 The pattern is block printed by hand onto naturally dyed cotton. Print design is an inspired handmade take on classic Swiss dots. PO-EM is a creative collection of handmade textiles & wares by artist/designer Carla Venticinque-Osborn. Collections take inspiration from stories, poems, the hand's work, the animal gaze, storytelling through pattern, utility, and merging old things with new things. Every piece is intent on being genuine, and serves as an ode to the handmade. Textile process: Far from commonplace, PO-EM textiles are made from homespun and handwoven fibers, and use natural dyes for color. Traditional methods of artisan design are explored such as block printing, weaving and resist-dying. Textile works are proudly made in partnership with established artisan cooperatives and workshops in India, Guatemala and Mexico. Production & Mission: PO-EM's products are produced via socially and environmentally positive channels of production (natural non-toxic dyes and materials, fair pay, supporting craftspeople-artisans-makers). The world needs more good, it needs to slow down - PO-EM is a designer's attempt to insert thoughtful pauses amongst a fast-paced world via artfully sustainable wares.